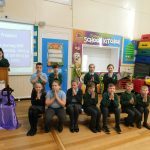 A Lenten Liturgy led by Y4. 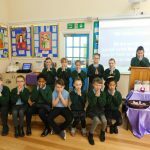 It was the turn of our Year 4 class to lead a service of liturgy for parents, parishioners and the rest of the school this morning. The them of the collective worship was: Walking in the Light of Jesus’. 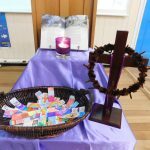 Year 4 reminded us that Lent is time set aside to focus on spiritual growth which prepares Christians for Christ’s Resurrection on Easter Sunday. During Lent we try to be more faithful to the Gospel by living as Jesus wants us to. It is a time when we practise self-discipline in order to grow in God’s way. 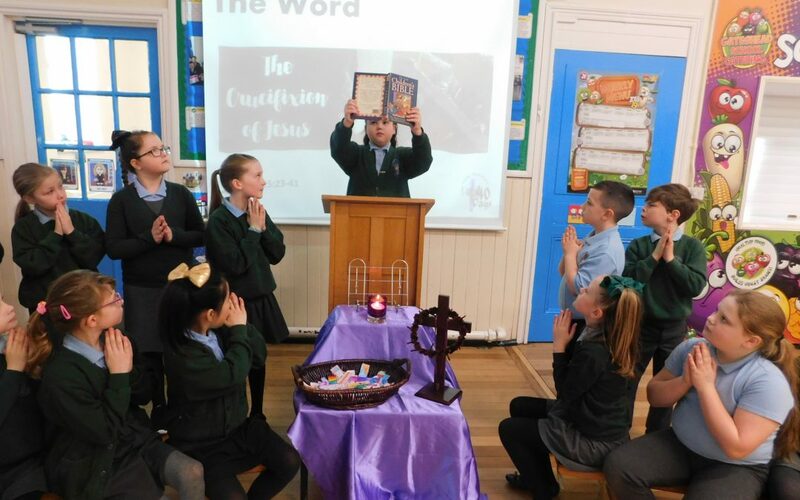 Year 4 went on to explain that Lent offers us all the opportunity to make changes in our lives in order to become more like Jesus. We can do this through prayer and reflection and through reading scripture and spending more time each day speaking to God. We may fast and try to give something up. To be followers of Jesus, we must become aware of the needs of other people and be prepared to see what they can do to help. 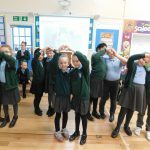 Using readings, prayers, hymns and dance, our Year 4 class really helped us to take time out of our busy lives to remember what is really important. As each class left the hall silently and reverently, the atmosphere of prayer and reflection remained. 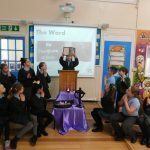 “I am always amazed at how well children can lead liturgies in school. 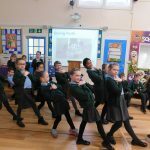 They are so reverend in their reading, reflections and dance. 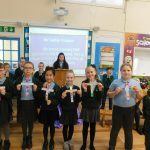 I was really impressed to hear how thoughtful their Lenten Promises were.” (Mr Tucker – Charlotte’s grandfather).